Do you know that when you live a pretentious life consistently it will harden your heart? When you stifle your feelings or hide your true emotions tightly locked away in your heart, your heart will gradually lose its softness and become as hard as a rock. I have seen persons who lost loved ones who refused to take time off to grieve. They continued with their ministry or work as if nothing happens. Is this a sign of strength? Ten years ago when I heard the sad news that my mother had suddenly passed away it was as if my world stopped. I could not function. I immediately left everything and returned home to grieve with the family and planned her funeral. It was not until after she was buried that I returned to normalcy. Therefore, it is difficult for me to understand a person who doesnt take time to grieve. Do you know that God gave His people time to grieve when their loved ones died? God knows the importance of grieving. It is not a sign of weakness. It is a sign that you have a heart of flesh filled with love and compassion. It is unhealthy to hide your true feelings behind work, false smiles or pretending to be fine or withdrawing from friends and family. It is healthy to expose your true feelings to God and allow Him to comfort and heal you. 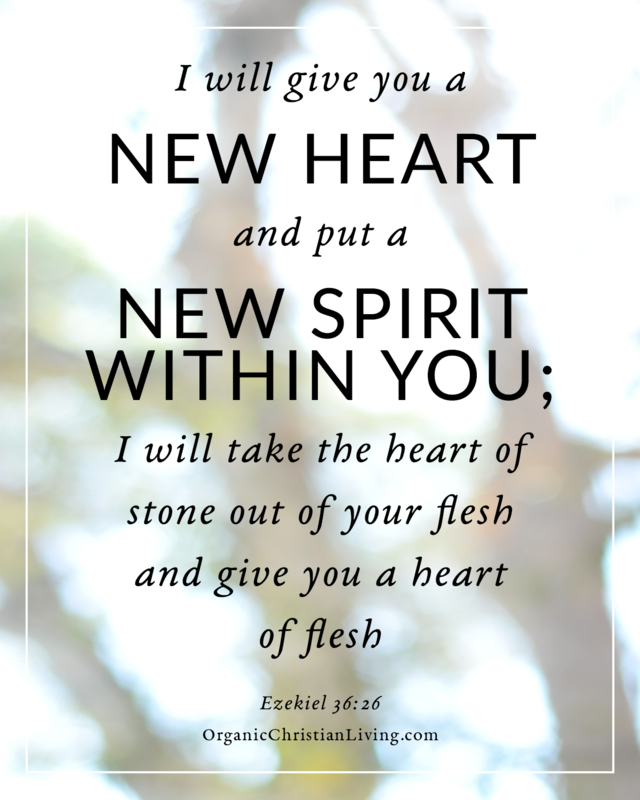 Lord, Remove the stony hearts from our bodies and give us hearts of flesh. AMEN! Do Not Give Up On Doing Good! Six Simple Steps To A More Prosperous And Healthy Life. Does Social Media Cause A Three-Minute Attention Span? What’s Happening to the Church? Is Social Media Your Friend or Enemy? Becoming the Oil and Wine blog was founded in March 19th, 2014 by Beverley Doreen Wright in direct obedience to God to teach, encourage and uplift the people of God. In 2011, she gave up all secular goals and desires to answer the call of God on her life. The mission of this blog is to prepare us to become pure and mature so that we can in turn help and heal those who are broken. God has called us to become the oil and the wine. This is the place of total protection from the enemy. When we reach this place, like the Good Samaritan, we can then pour the oil and the wine on the wounds of those who have been robbed and abused by the enemy. Yes, you can’t experience God’s healing if you don’t take the let it all out at the altar and leave it there. True words. May God help us to leave it at the altar. Thank you for visitng and sharing. God bless you for your support. God truly be praised! Blessings to you Sis! Blessed are they that mourn: for they shall be comforted…. Amen. I had forgotton about that scripture when I wrote this post. You have just put the icing on the cake. Thank you for the reblogged. I recently played the organ at my mother’s funeral, as I had done at Dad’s. I wouldn’t say I was grieving then or now. I was however grieving earlier, at the loss of her memory and the progressive loss of her belongings so she could enter a rest home, stripped almost bare of what she had built up. At that stage I felt a measure of gratitude that she wasn’t aware of what she’d lost! I am sorry to hear about the loos of your mom. Some people grieve differently but I believe when you loss a loved one you need to immediately take time off to grieve and reflect. Thank you for sharing. Yes, God does know the importance of grieving and I believe God is grieving even now, even as all of creation groans, as He sees all those with their reprobate minds committing all the grievous acts all around this world, and yet on a more uplifting note, at the same time He delights in those whose hearts delight in Him when we live in obedience to His Word. You are right on target, Susan. The atrocities that are happening on the earth grieves the heart of God. I believe we are saved because of Jesus Christ and the few righteous ones who He delights in. Thank you for sharing and have a great weekend.